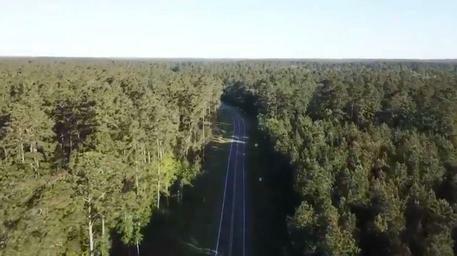 The 2019 Gran Fondo Texas routes takes riders through the scenic Sam Houston National Forest to the town of Richards. From Richards you'll ride past picturesque pastures with bluebonnets and grazing cattle on your way to the historic town of Anderson. The route to and from Anderson will have just enough elevation to help you get ready for the BP MS 150. 1 - Mile 15 on Bailey Grove Rd. Gate Cutoff Times — All riders are subject to pre-determined cutoffs for the safety of all riders. Anderson Gate (Mile 39): Must make left turn from Main Street onto FM 149 no later than 11:15 to proceed on the 100 mile route. FM 3090 Gate (Mile 43): Must make left turn onto FM 3090 no later than 11:30 to proceed on the 100 mile route. NOTE: 100 mile route can be shortened to 90 miles by going straight on 3090 (at mile 43) rather than making the left turn. Check map for details.